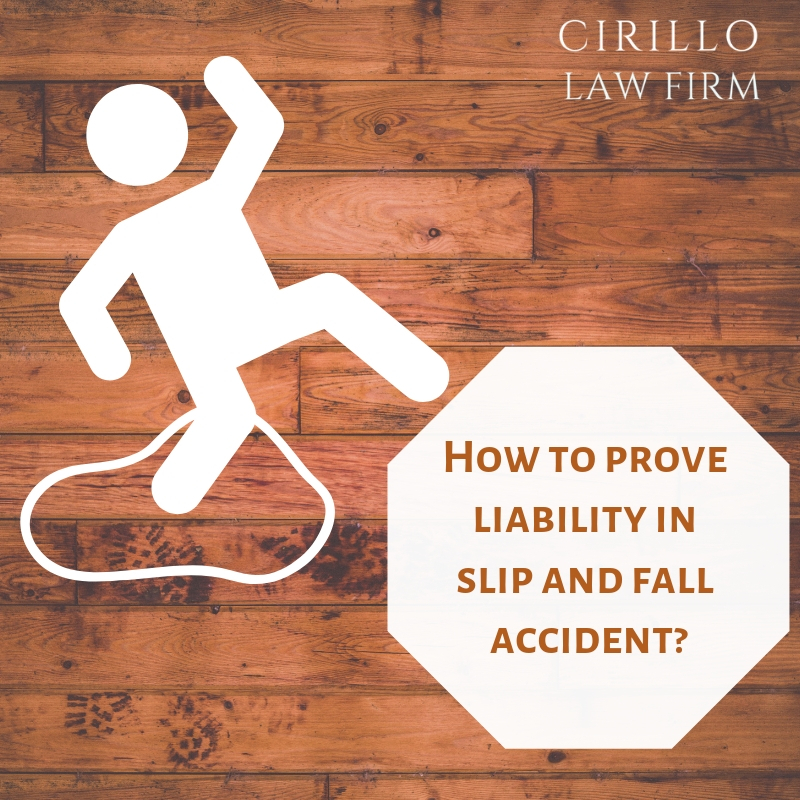 Who is liable for a slip and fall accident? Most of the cases that personal injury lawyers are handling these days are that of slip and falls. The injury caused by slipping or tripping at someone else's property falls under the category of slip and fall accident. The property owner where such an accident has happened is held responsible for the injury caused. There can be a number of reasons leading to slips causing huge injuries. Greasy or oily area, torn carpet, uneven flooring, a wet floor or improper lightning can be few such reasons. It is not necessary that such accidents happen inside the premises only, it can also happen at outdoors because of snow, some unidentified hazard or unnecessary clutter lying here and there. The injury caused in such accidents can range from minor to major, it can lead to head injury, broken rib or bones, slip disc or something even worse. There is no precise way to prove the liability of property owner in front of personal injury attorneys. Liability depends from case to encase depending upon the safety measure and precautions taken by the owner at his premises. At times if the owner succeeds in proving that he took all the precautions leading to slips and falls, he can be exempted from taking any liability of injury caused. The owner created the situation that leads to slip or fall. If not created owner at least owner was aware of the condition of his premises that led to slip and fall. The owner failed to correct the condition owing to such accident on time. The condition has been prevalent for such a long time that even if the owner did not create it or was not aware of it initially, he would have taken measures to rectify the same by now. It is really important to prove the extent of negligence property owner has taken that led to such an accident causing huge injury. If you want to claim compensation for such injuries, it is really important to prove that someone else is responsible for the same, because at times it can be our own negligence as well that can lead to a slip or fall at someone else’s property.